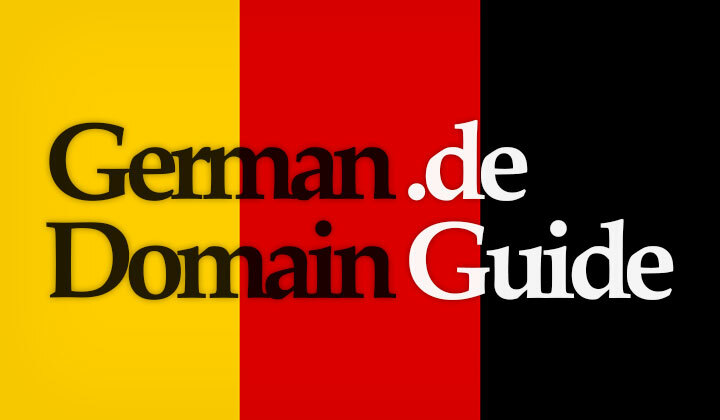 German Domain Name Guide: Register .de Domain Outside Germany! I made this guide on how anyone can easily register a German domain name with the .de TLD (top-level domain) extension. Even outside of Germany! Enjoy. The domain registration requirements of German .de names are a little stricter than other ccTLDs (country code top-level domains). The domain contact details known as “WHOIS records” need a valid German postal address as an administrative contact. 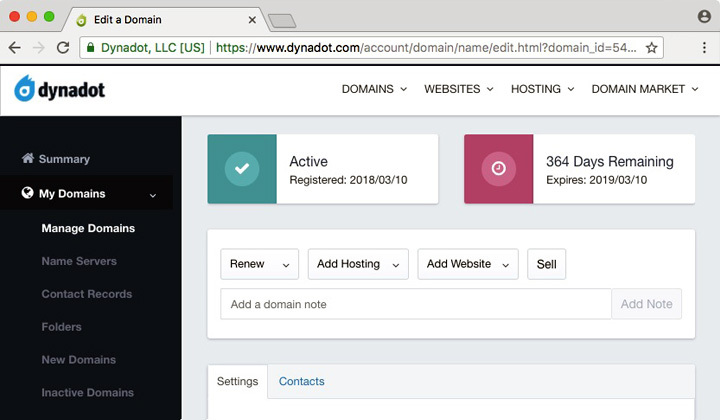 Using proxy registrations, where a registrar company registers the domain with their own contact details as the administrator is allowed. But this will be very costly, with little added benefit. In this guide, I will show how you or anyone can register a cheap .de domain even outside of Germany, without a German postal address! 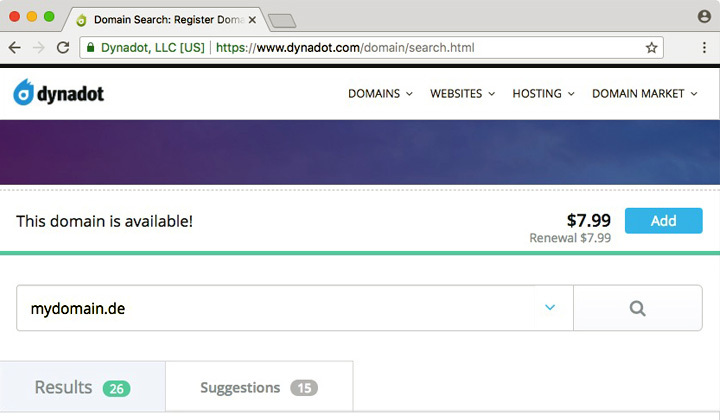 For the guide, I’ve used Dynadot Domains because they provide very cheap .de registration, and they are both a trusted and reasonable registrar. Namely, I know from experience that they won’t give you a hard time, or go out of their jurisdiction to police their users, so you have nothing to worry about. Step 1. 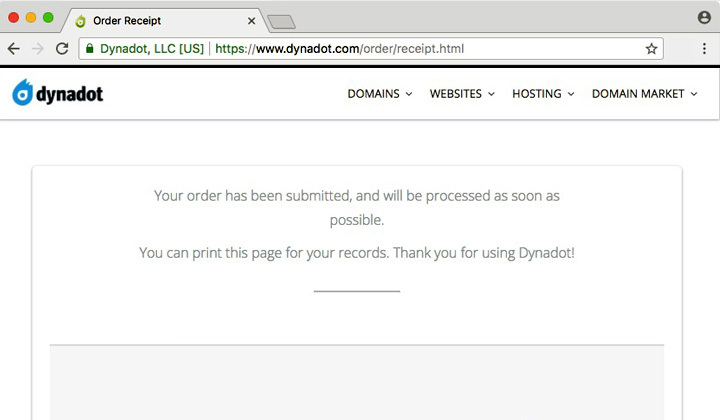 Go to Dynadot Domains if you haven’t already. Step 2. Search for your desired .de domain name. Step 3. Add your gorgeous German domain name to your shopping cart. Step 4. Choose your registration length and proceed to check out. Note! 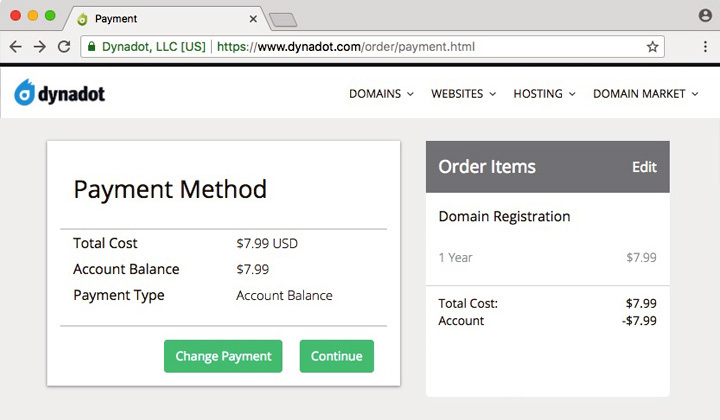 If you clicked on my referral link and buy a two year domain registration, you will get $5 free credit. Quick math! 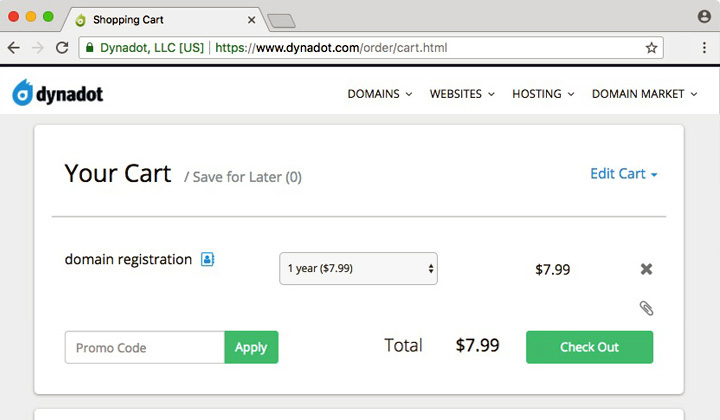 $15.98 two year .de registration plus $5 for the third year, would make it as cheap as $18.97 for three years. Step 5. Choose your payment method. Visa, MasterCard, PayPal, etc. Step 6. 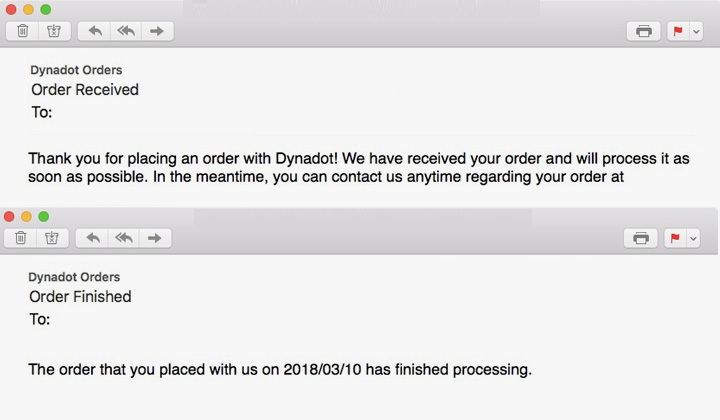 Dynadot has dealt with this issue in the least confusing and obstructive way. 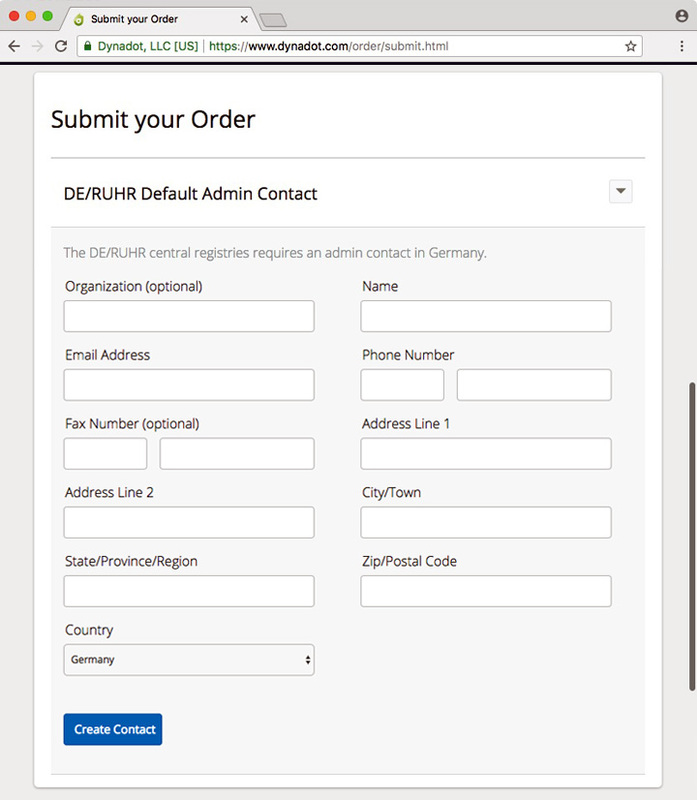 You are immediately presented with a form, where you simply need to fill in a valid German administrative contact, which is the official requirement. It’s time to search for the address of your nearest florist (in Germany). Just don’t invent a non-existing address and you will be fine. Step 7. Give your self a pat in the back. Step 8. Receive an email once everything is done (takes a minute, or two). Step 9. 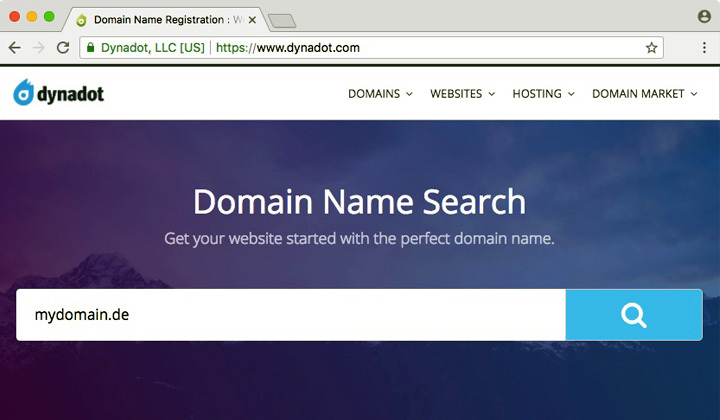 Manage, and use your newly registered .de domain name as you wish. WHOIS privacy is not allowed, so you’re address will be exposed to anyone who wants to have a peek. Make sure your address is real. While the administrative contact (admin-c) needs to be an address in Germany. The other records (domain owner, and tech-c) can be from any other country. So your non-German address can be the legal owner. Therefore, you are not required to live there, anyone from outside of Germany is permitted to register a .de domain if they meet this requirement. I hope you are enjoying your cheap, German .de domain by now, and perhaps the free $5 credit that you can obtain through the link provided. Any questions? Comments are welcome below! As I don’t want to take any legal risk or anything resulting in my website shutting down. I’m creating a portfolio website.